Great weather, great company, great racing, great track and great awards – and 98 great drivers on board. Can’t ask for better than that. 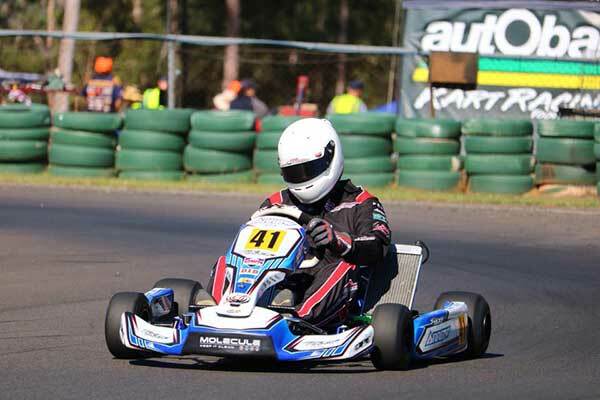 The second round of the Club Championships and the $500 Series took place on Sunday 18 March after a day of testing and practice which kept everyone busy. The Feature events were the TAG Restricted divisions and they were well supported by the Open Performance groups. 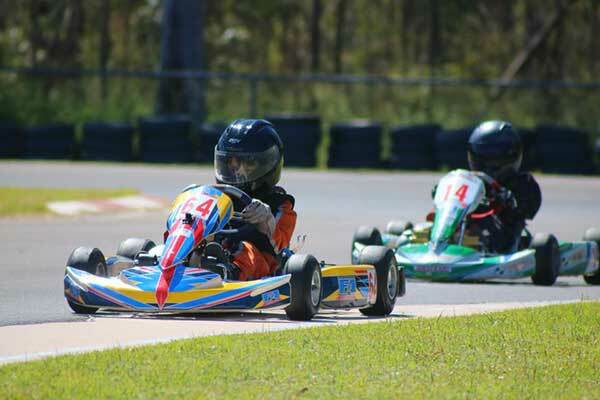 The presence of some high profile car racers helped produce what was a successful day at the Toowoomba & Lockyer Valley Kart Club. 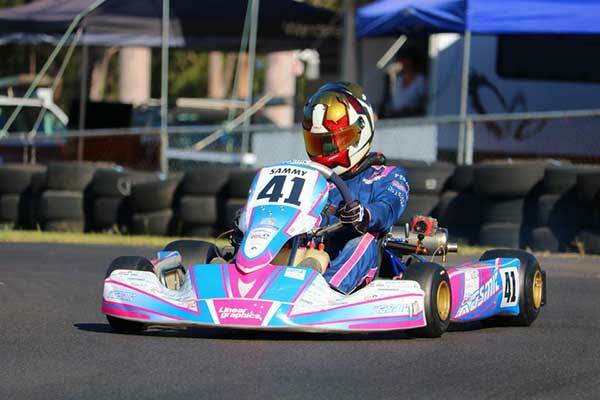 Cadet Comer Class was the domain of Seb Esk-Marandi with the two young guns Maddy Sternbeck and Isabella Wagner being the top three at the end of the day – all the young ones drove exceptionally well during all the heats. Cadets 9 was a small field but is steadily growing and the two front runners in a class of their own, Brock Hall and William Sharp closely challenging each other in all the events. A close third was Yamuna Steinbeck (first race in C9) and another young lady Tameka Dyne all showing a great improvement in their on track skill. Juniors was a combined group with the IAME Junior open (KA3) engine leader, with a clean sweep for Sam Haycock with Harrison Fox and Finlay Derry not far behind. The Junior Lights had Roman Findlay and Stewart Hare produce a close battle and Brody Nunn close with Ryan Laycock and Keegan Fraser also in the mix, also a great improvement from Bejay Flannery. 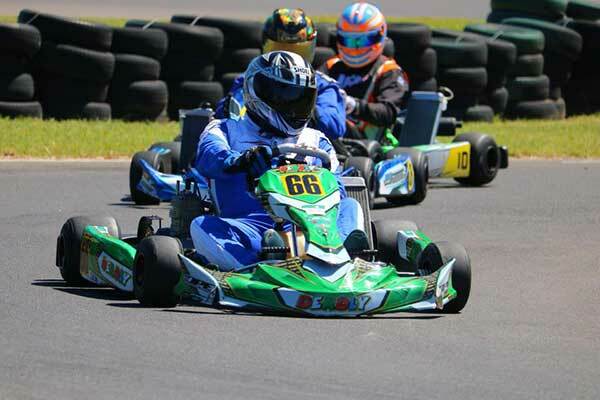 The Junior IAME Heavy (KA4) with Jack Strans and Maclayne Linnet also showed good pace for their podium. Cadet 12 had a good mix of 17 competitors. Racing up front was clean and hard fought with Charlie Bowen showing great pace, Bailey Leeson, Luke Trost, Brendan Martin, Isaak Bliesner and Connor Peacock followed close up with Bowen the best on the day. 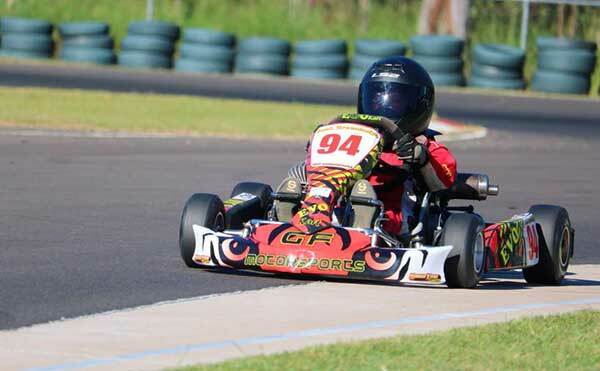 Failure to ensure transponders were fitted marred some of the competitor’s results, and this is usually attributed to the pit crew – LOL – , however it did not deter the lads and they fought on regardless. Senior events were also competitive. TAG Heavy saw the appearance of Kel Tresseder and his mate Scotty Mac. This made for great viewing track side and close racing. 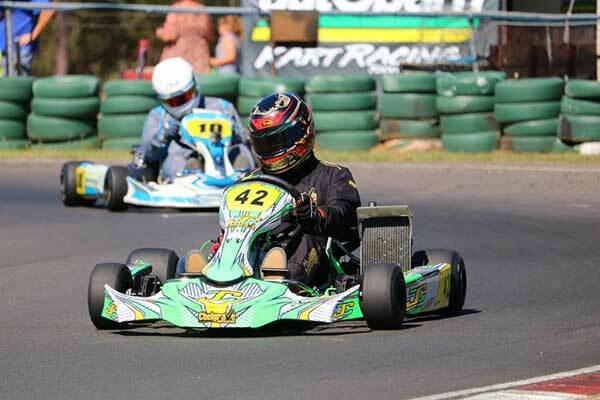 Toowoomba club member Layton Smith had his first run in this class up from Restricted gaining most from the experience of the front runners. 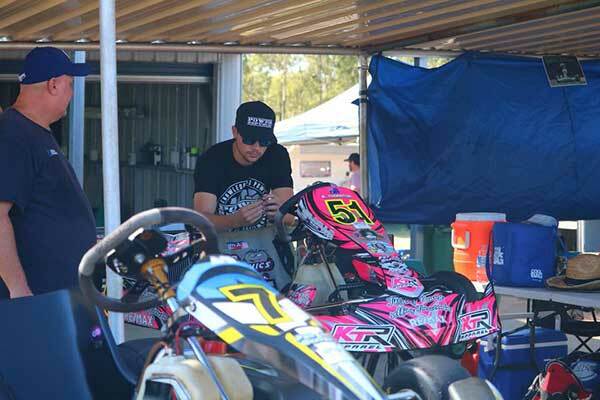 Also Kiwi Dale Verrall from Pacific Karts, Dan Hutchinson and Andrew Morgan were all vying for club points along with Robin Grundon who chose to opt out of Masters to race with the young guns. 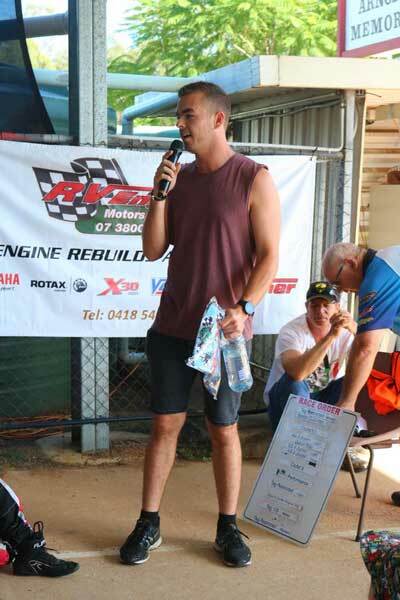 Open Performance with the “Cookta” crew provided some fast action 6-speed engine performance with the Ellery Team challenge ending with the younger outfoxing the elders, Dalton Ellery taking the chocolates with Peter Virgulti and Tony Grant also on the podium. 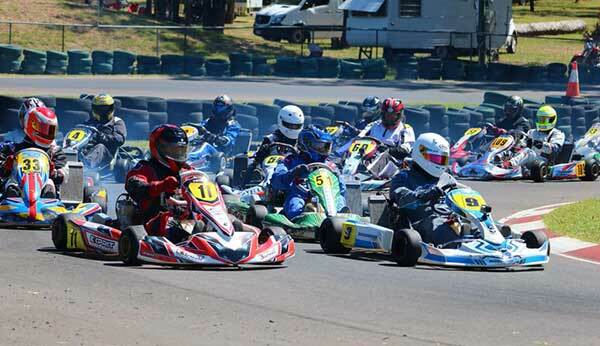 Masters saw a group of 17 take to the track and a surprise upset resulted at the end of the day with local club champ Terry Grant relegated to a lower step on the podium by non-other than a long time racer making a return appearance in Russell Vellacott. It was great close racing from all these gents with the final podium spot going to Peter Virgulti followed by Mike Smith, Perry Evans and Kevin Cossor in that order. 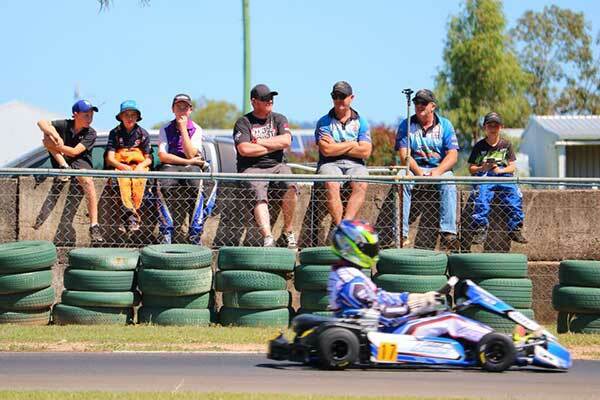 The feature classes of TAG Restricted Light and Heavy produced some good racing. 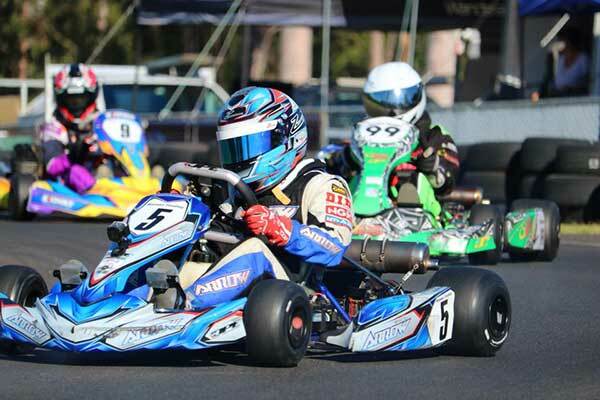 Unfortunately the heavy group didn’t have its top runner participate as he endured mechanical issues that set him back, nevertheless it was Warwick Club visitor Jackson Bermingham who took the top spot from Sunshine Coast visitor Tim Wagner, followed by Angus Mathers, Joshua Betts and old timer Rudy Farkas. 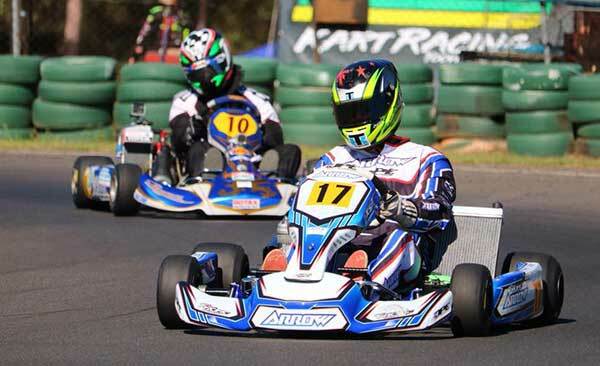 The Light class feature was reduced by 3 laps due to some lost time with a race stoppage earlier but it was still hotly contested and the final placings resulted with local driver and club member Layton Smith taking the win, Brock Thornton and Riley Castles to fill the podium and Dean Vellacott, Kayne Thornhill also in the mix. The day ended on our curfew time and the presentation was a jovial affair. 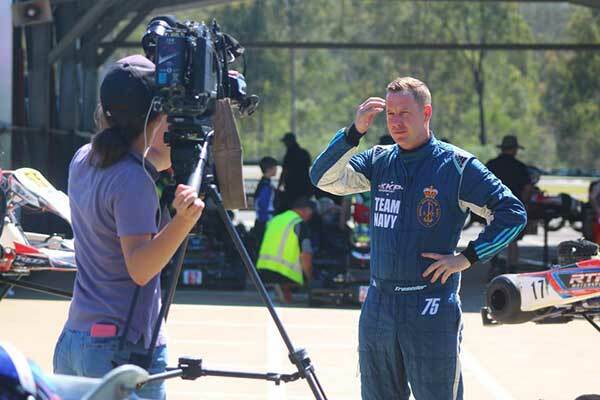 The random money draws for each division of Cadets, Junior and Seniors were handed out and won and the $500 all entrants in the tin, went to lucky Luke Trost. 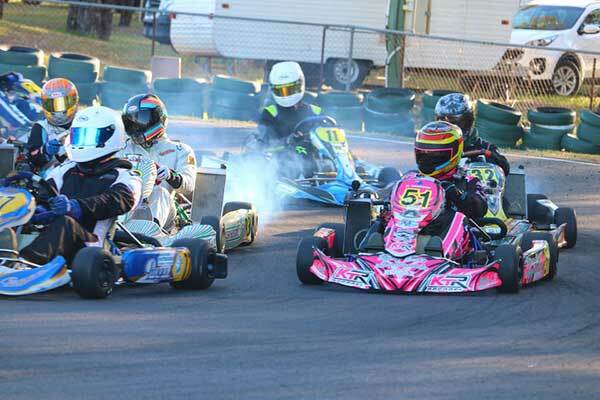 So ended another great weekend at Toowoomba & LV Greer Park Raceway. A big shout out thanks to all the competitors for their attendance, the volunteer officials, the Canteen ladies Mum and Dad, and To Val and Kevin who keep the facilities in tip top shape. 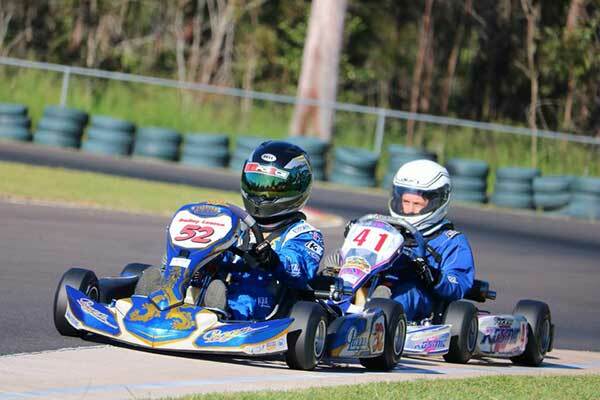 Next event will be 20th May – the Dunlop Challenge and the last round of the 3 round $500 Series.